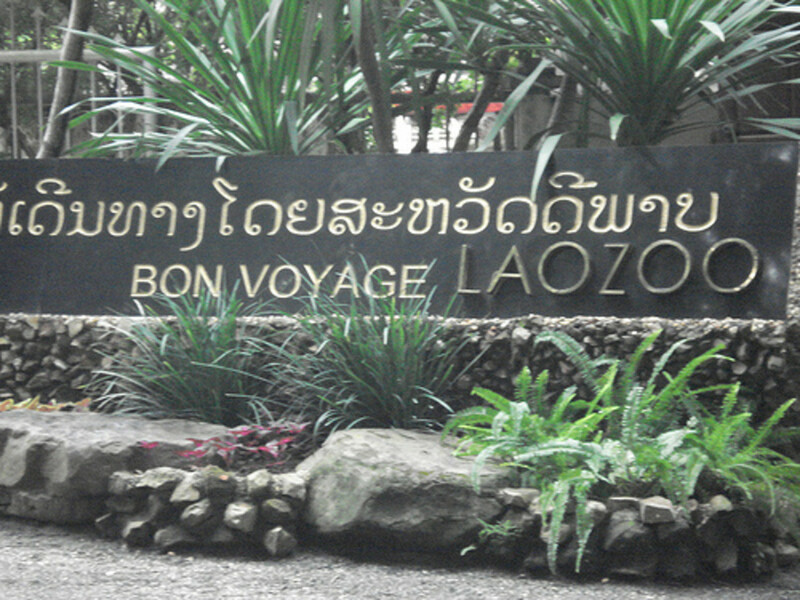 The Vientiane Zoo is the only 'official' zoo in Laos. 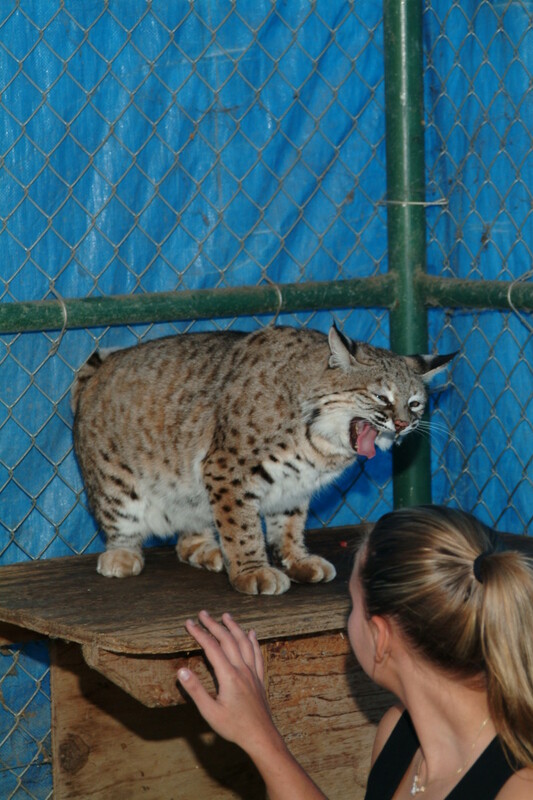 There are captive animals on display in other locations I have visited however. 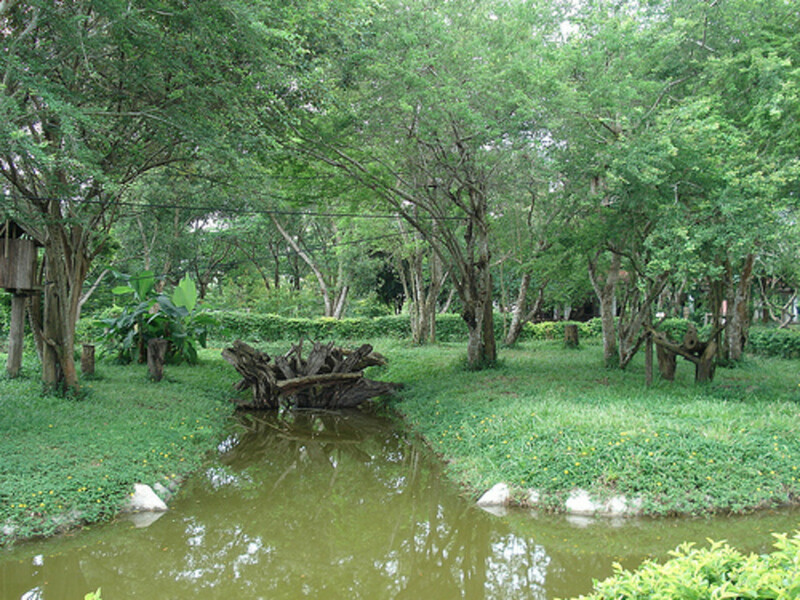 Vientiane Zoo is located in beautiful countryside some 65 Km from the city of Vientiane. 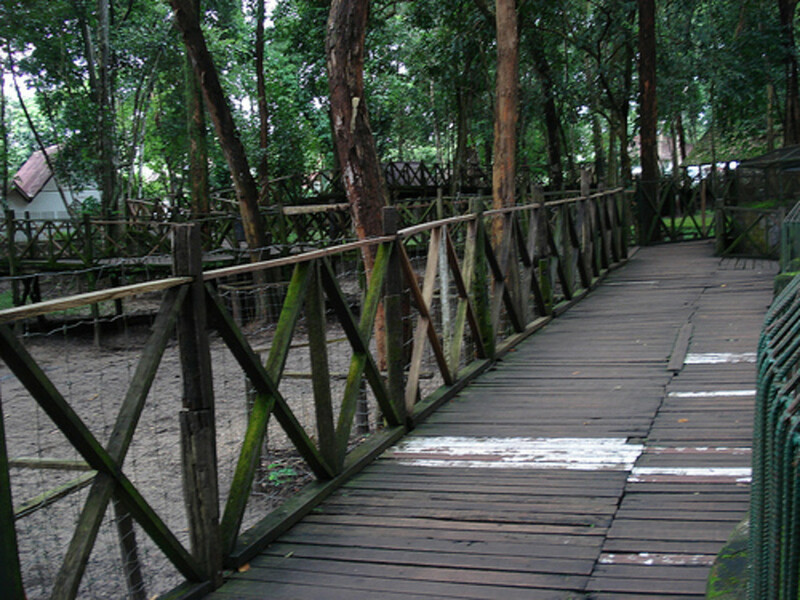 The zoo itself has a variety of names amongst which are the Vientiane Zoo, Lao Zoo, Tulakhom Inter Zoo and Ban Keun Zoological Park. 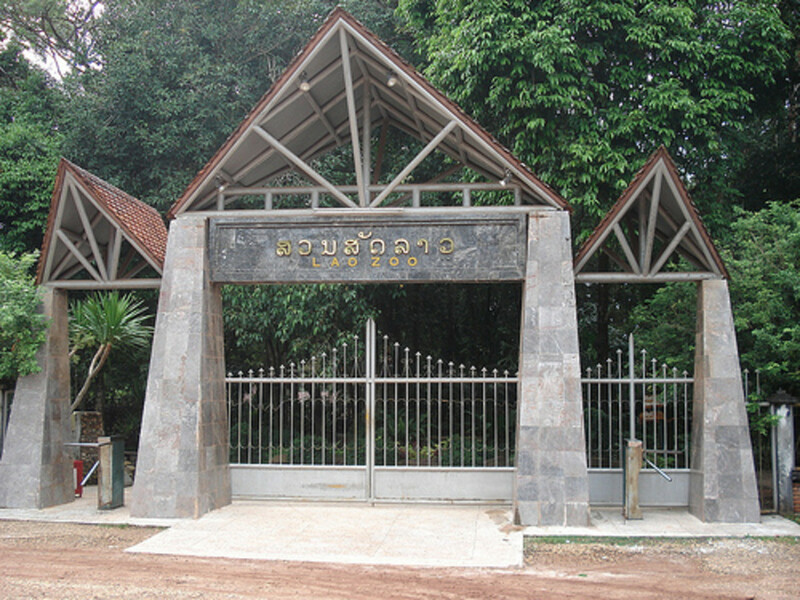 They actually make a bit of sense in that the zoo is located in Ban Keun (Ban Kern), Tulakhom district in the Vientiane Province of Lao. 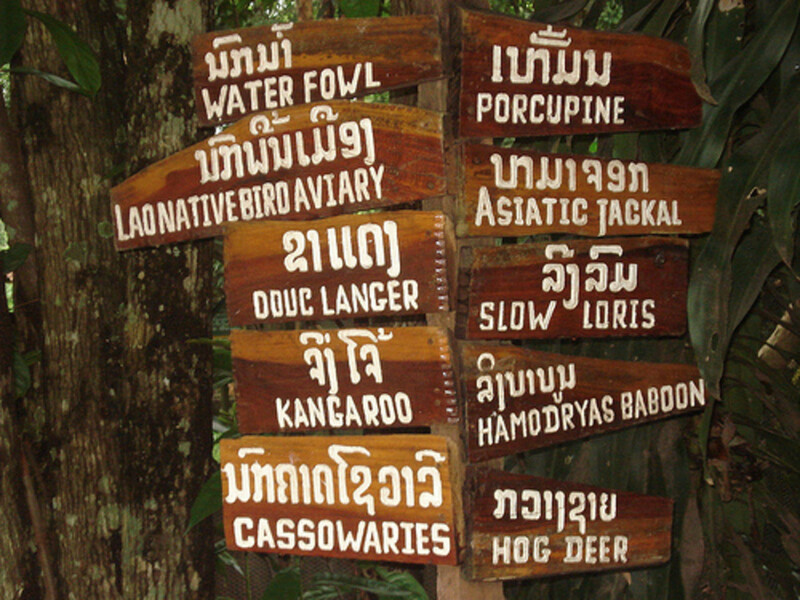 Such a variety of names however could lead one to believe that there are several zoos in Laos. 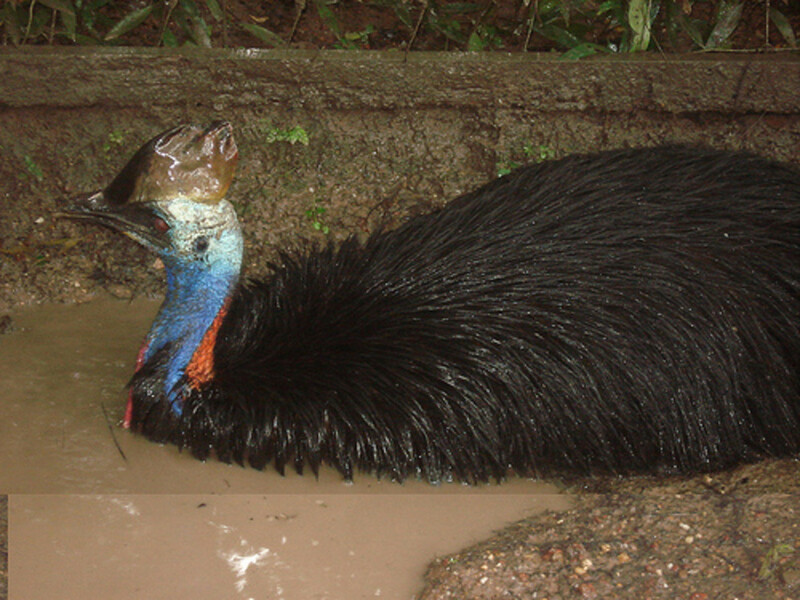 The Zoo was first established in 1994 and largely as a tourist attraction. Originally it was a 60% private and 40% government concern but the government dropped out in 2003.. It struggles financially and without foreign visitors it would be unlikely to remain open. 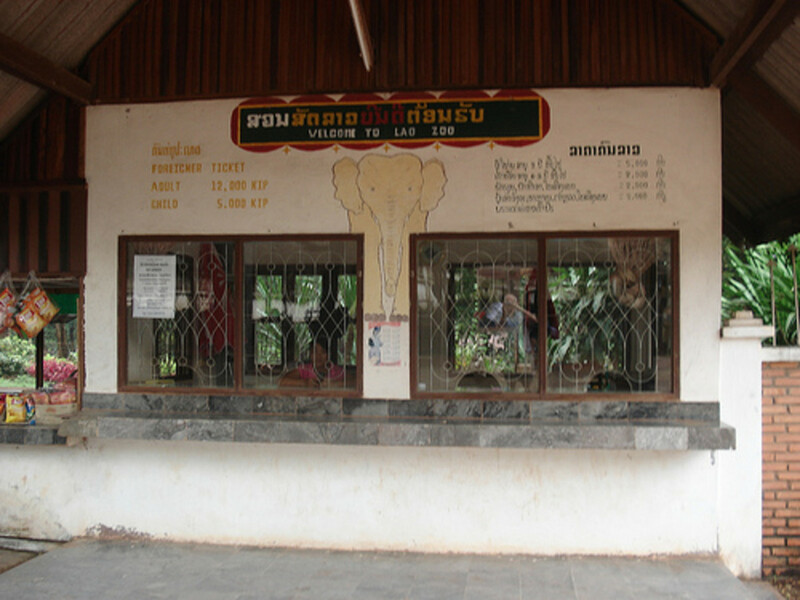 A generous donation by Japan's Toyota company served to improve the accommodation for the zoos most famous resident, the white elephant 'Phrayachaiyamongkol'. This small collection supposedly has a staff of 80 and keeps some 2000 animals. 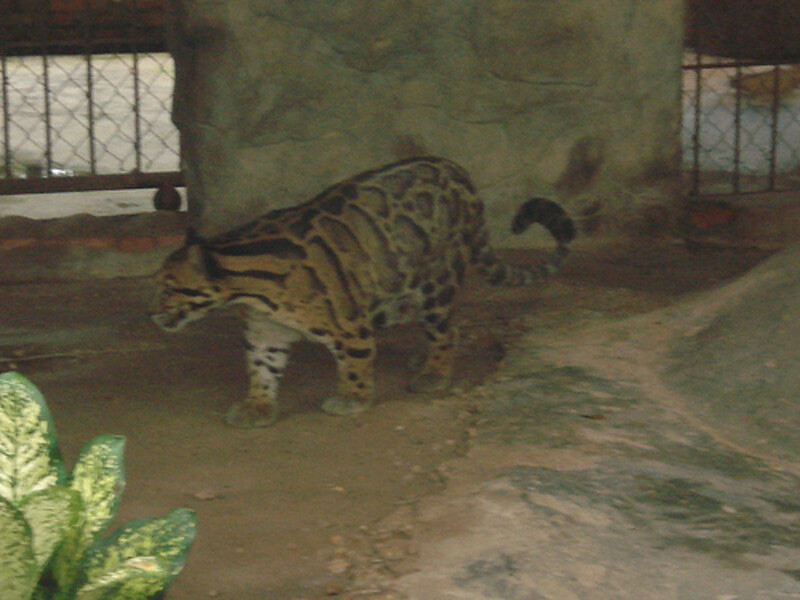 Photographs on the internet from 1998 show that the zoo has progressed during the past ten years or so. 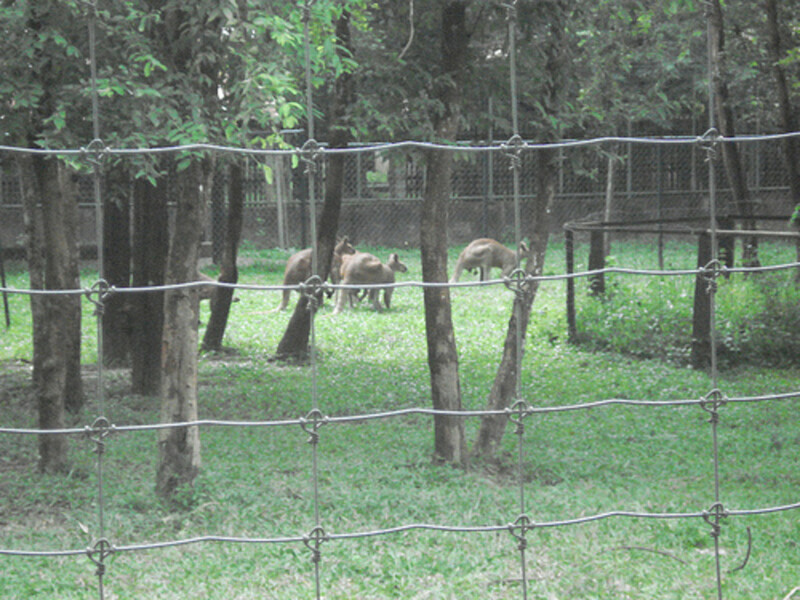 A visit to the zoo from Vientiane by cycle has been suggested by websites such as http://www.wikiloc.com/ and I can only agree wholeheartedly with the suggestion. Much of the 65 Km route to the zoo is through strikingly beautiful countryside and small villages. In parts it is like a step back in time. Alternatives are to arrange a taxi or transport through your hotel. 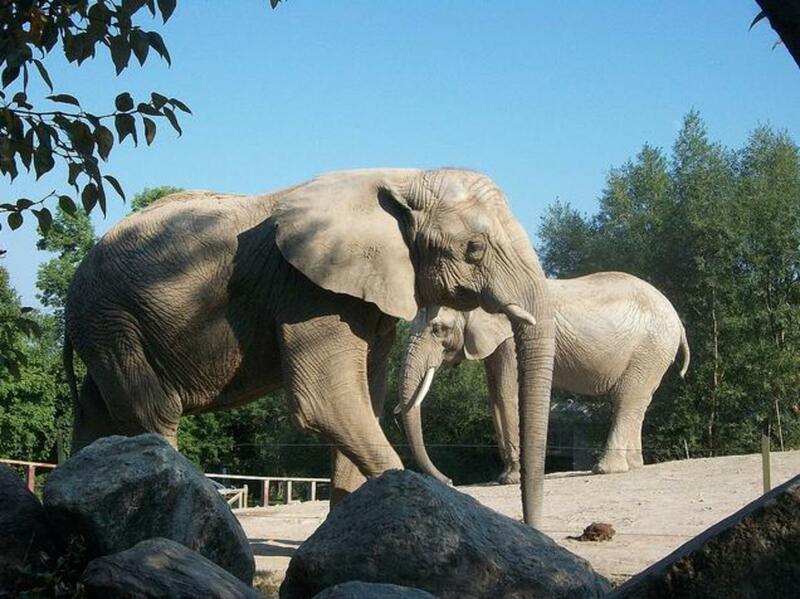 The zoo is open from 08.30 to 16.00 every day. 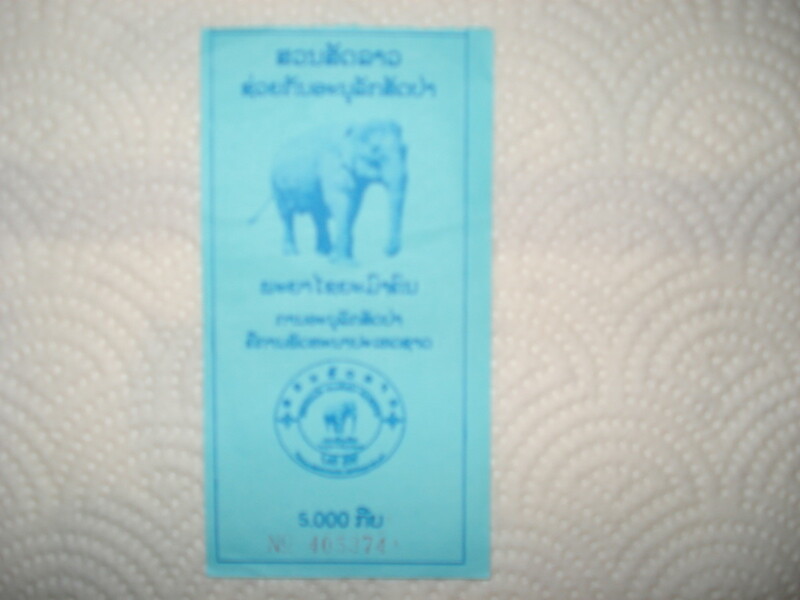 Ticket to the zoo (somehow and unintentionally I got in at foreigner child price of 5000 Laos Kip. Elephants in Asia symbolise good luck and White Elephants especially so. I have seen a few claimed white elephants in my travels but none that actually was white till I met the magnificent Phrayachaiyamongkol in Lao Zoo. He really is white...well white in comparison to a normal coloured grey elephant standing next to him. I thought actually that I would miss him because I found the elephant stable closed and a sign hanging on the gate to say 'Elephant in Musth'. A little further on was a second stable and there he was. Temporal glands running dark and staining his cheeks. His 'elephanthood' showing his thoughts. But such a gentle beast it turned out. If I saw nothing else on this trip I would have been happy. As most will know, I am not into freaks of nature but I don't put white elephants into that category. 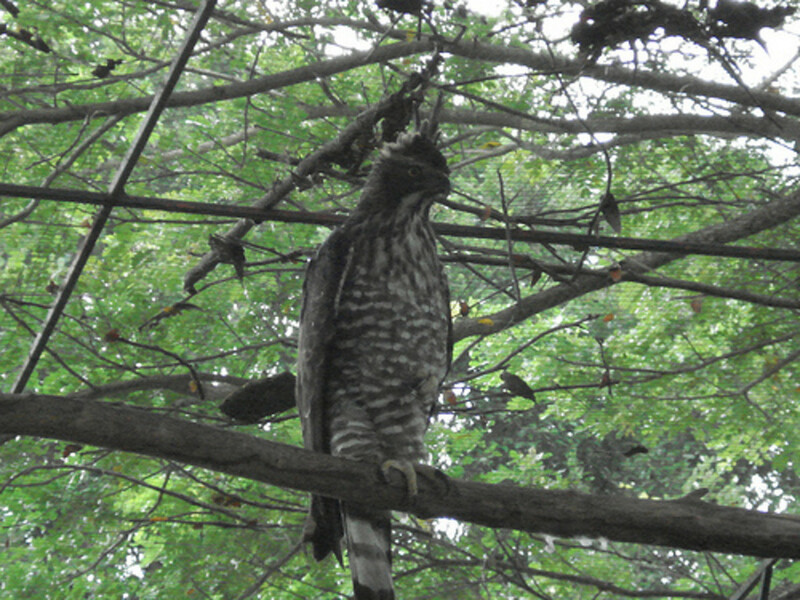 My only regret was that my very poor digital camera is giving up the ghost and failed to do justice when photographing this impressive animal. Staying with the white theme there is practically always an attempt in Asian collections to collect as many albinolike as possible and here was no exception. Except for one. 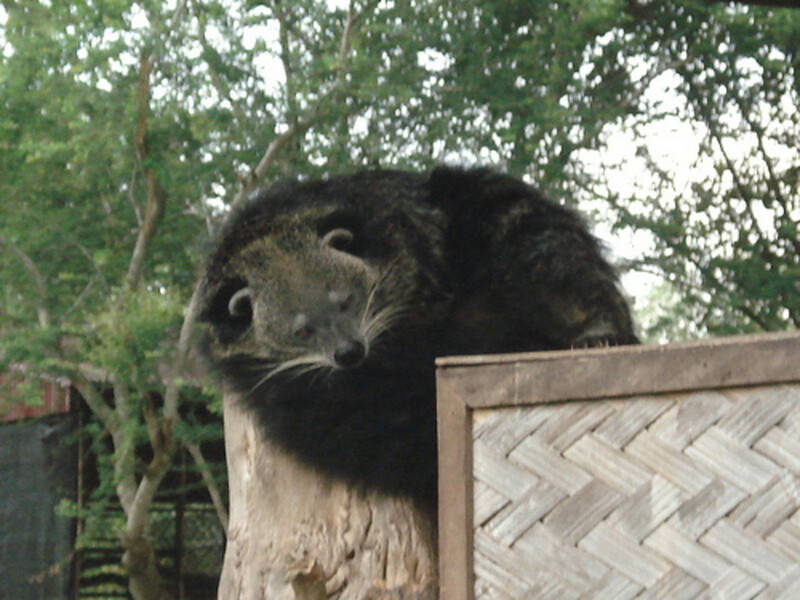 A melanistic Golden Cat Felis (Catopuma)Temmincki. Unusual yes but I do recollect seeing one somewhere before. 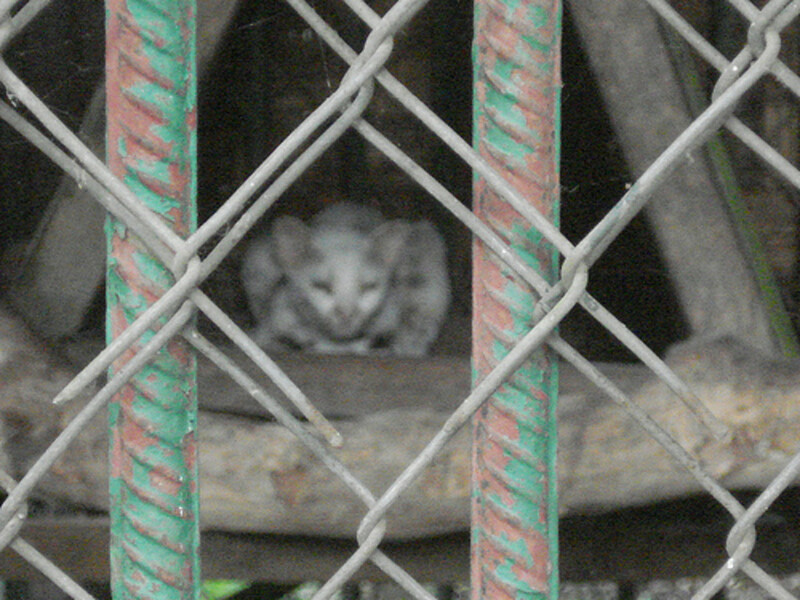 I had not however seen a White Leopard Cat before this visit. 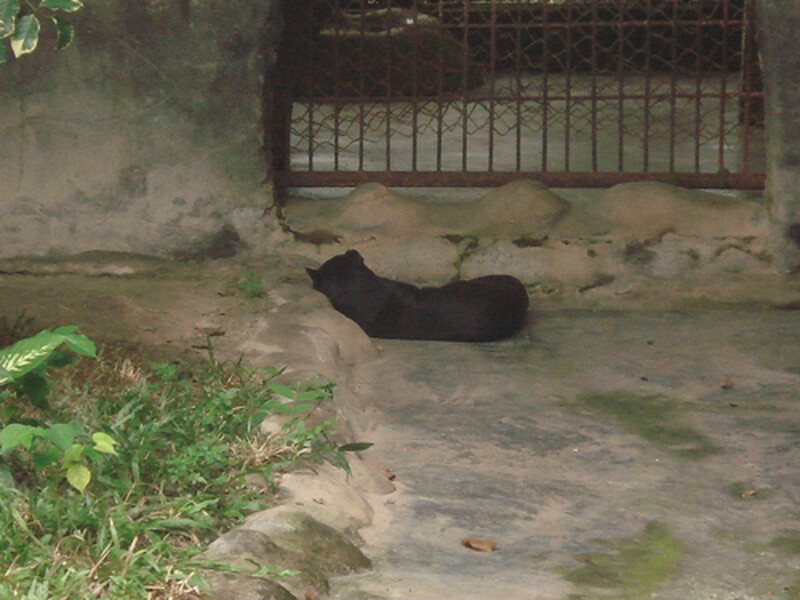 Melanistic Golden Cat - Or was it? It never moved during my visit. As a 'struggling' zoo the Lao zoo is exceptionally good. True enough there are some awful, old fashioned and dangerous looking exhibits. 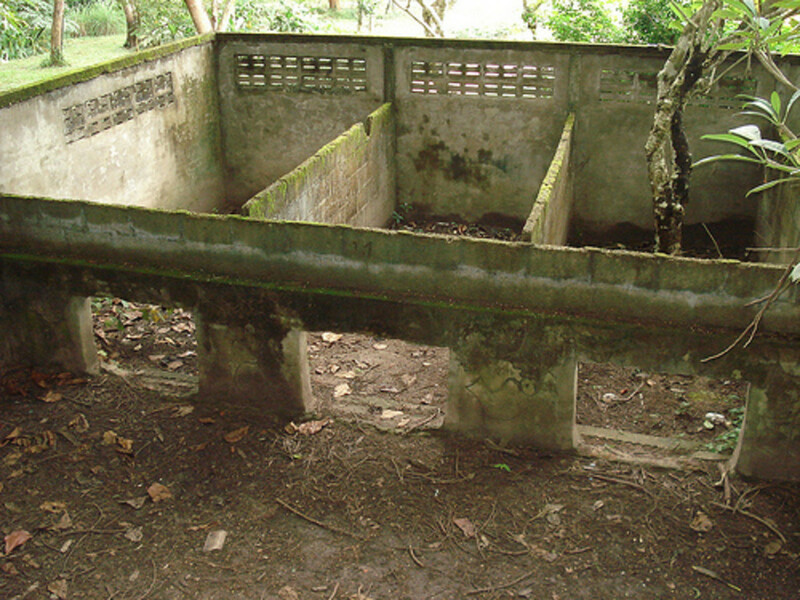 Trap off facilities are so essential. On the other hand though there were some exceedingly good enclosures and that for the Asiatic Black Bears must come into my top five ever. So often they get short shrift and are confined to horrors but this was wonderful. 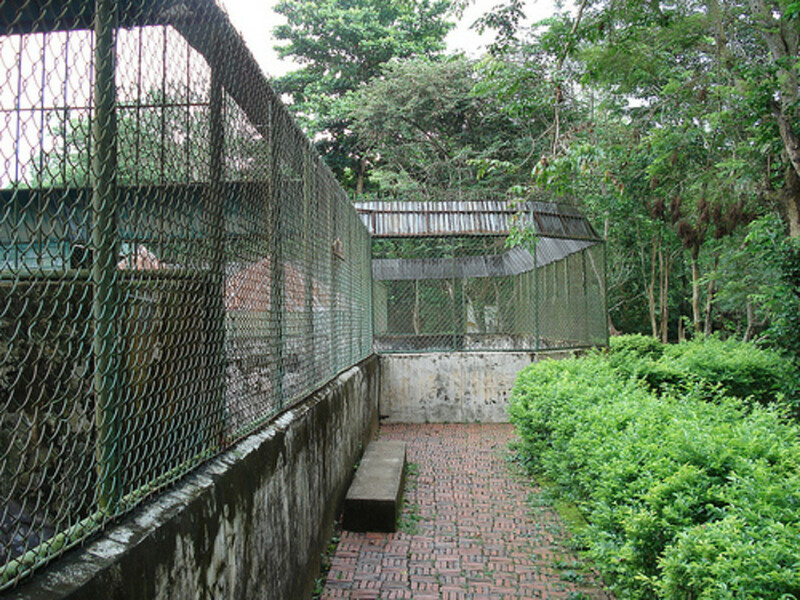 View of the Asiatic Black Bear Enclosure. 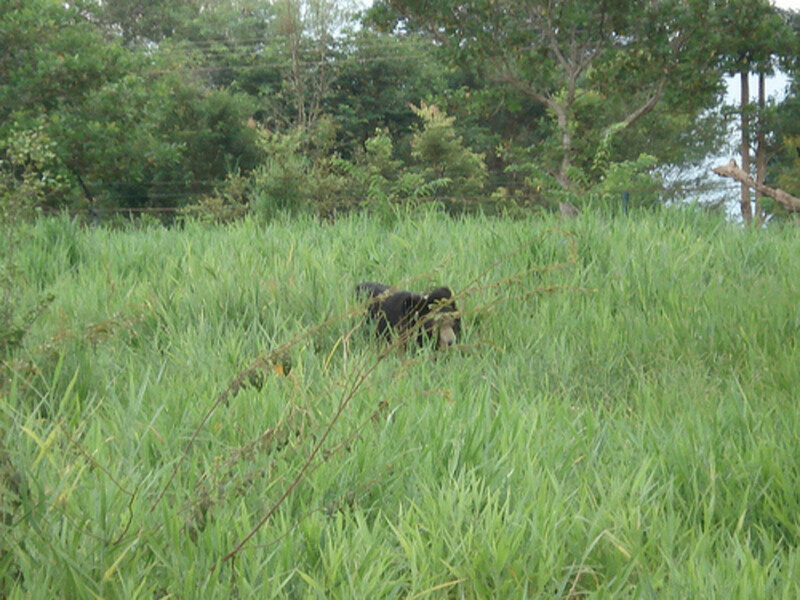 Can you spot the bear? It is there. Unfortunately there was the inevitable, but practical, holding pens as well. 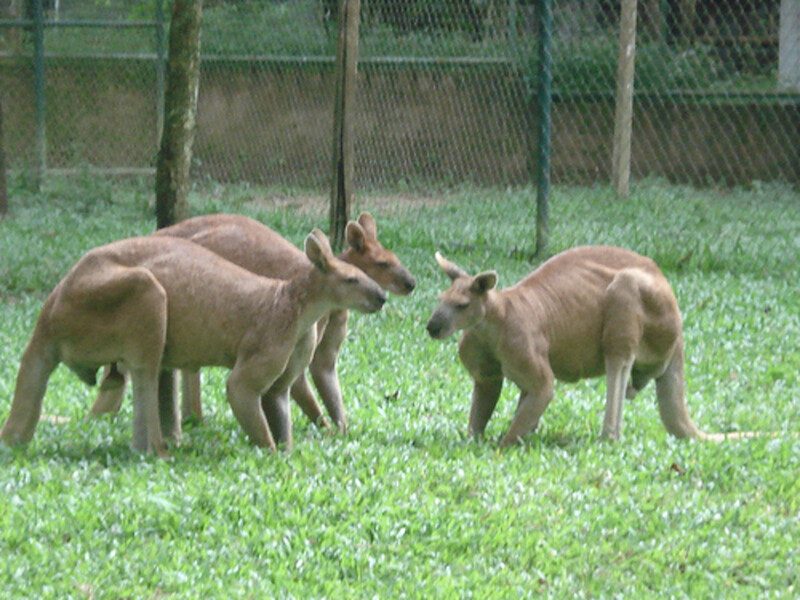 The Kangaroo Macropus antilopinus enclosure was another good one. 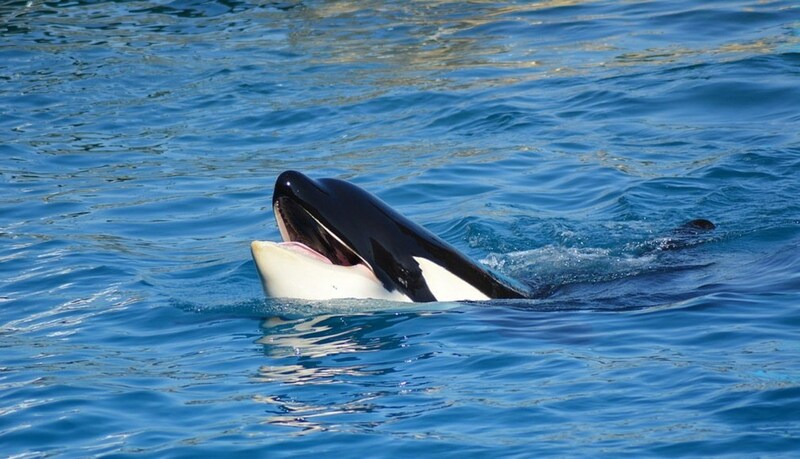 It was beautiful and the animals within it were in exceptional condition. 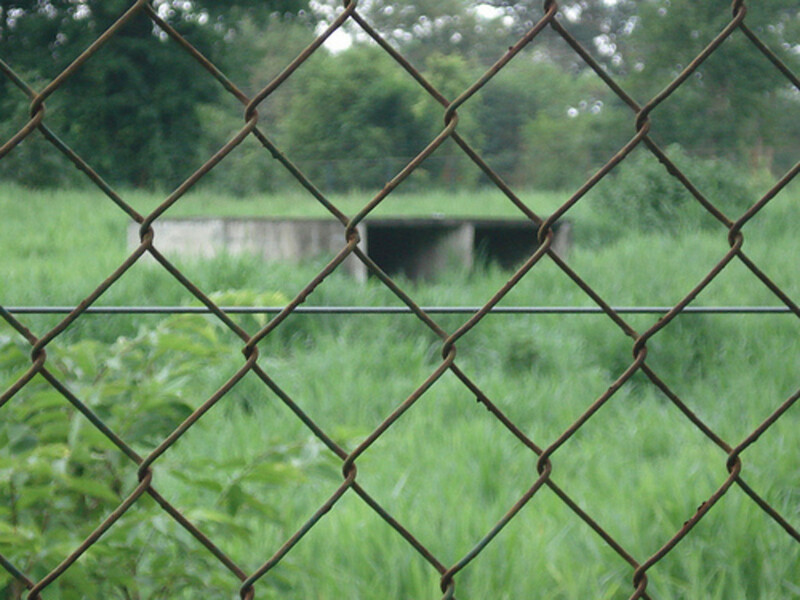 I would go as far as to say it was one of the best Kangaroo enclosures I have seen anywhere. A close second would have been the Australian walk thru enclosure at the long closed Cleethorpes Zoo and Marineland. Considering the Kangaroos were presented by the Australian Government way back in 1996 then they are doing exceedingly well with them in comparison to some other collections I can think of. 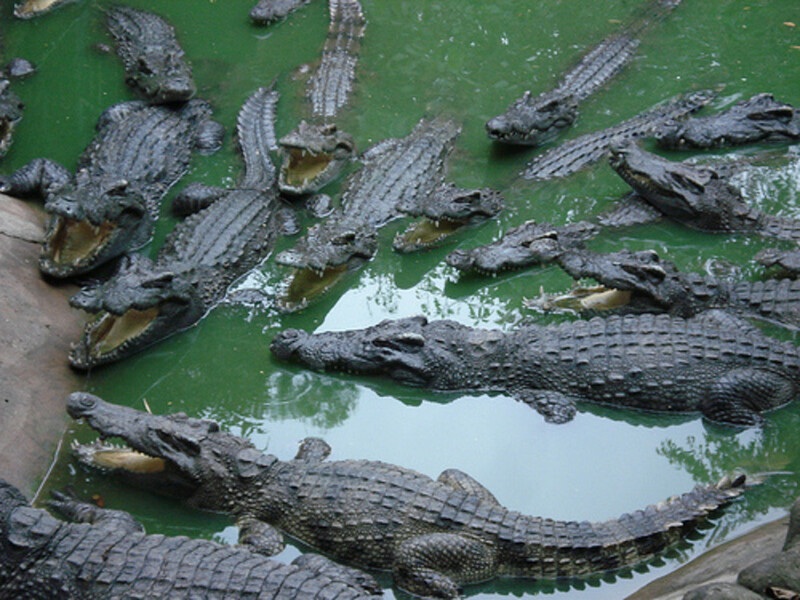 The Crocodile enclosures were roomier than most and lacked the rotting meat stench that is so often encountered. The Gibbon islands were nice too and the foliage so thick on the trees it would have been very easy to miss the occupants. It was early afternoon when I visited this delightful little collection. Myself, my driver and a girl I met at the hotel were the only visitors. Although I appreciated the fact that we were alone I thought it a pity at the same time. The collection is neat, tidy and clean. Partly pathed, partly boardwalked and sometimes mud pathed it was an enjoyable collection to walk round. The gardens were nice. 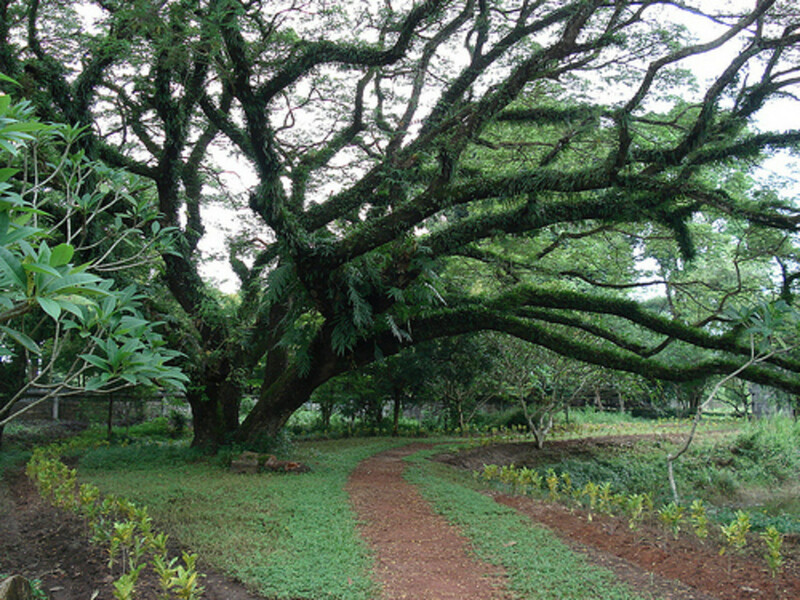 So too were the larger trees. Barriers are ample and adequate. Toilets clean. A nice little gift shop. Places to eat. The signage was there. Practically everything had a sign on it but it was limited and very precise. Funny at times too. 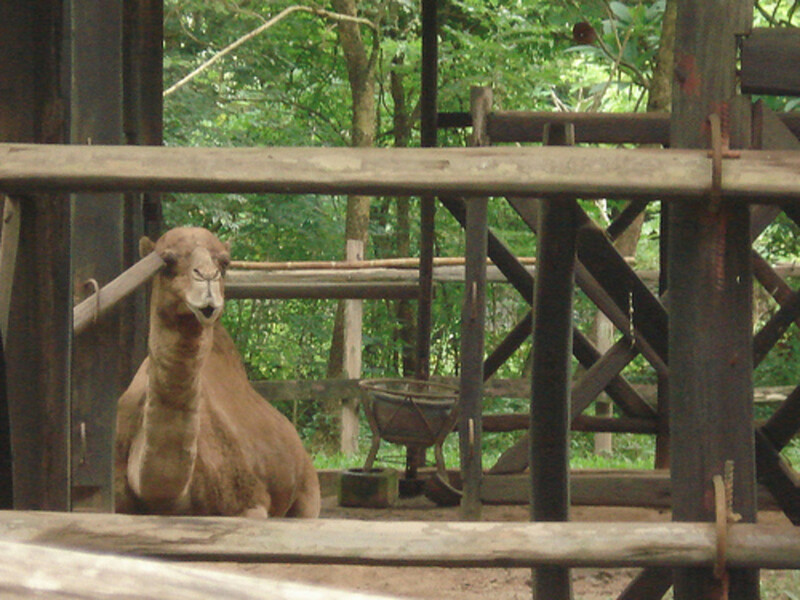 Lao Zoo is a commercial zoo but it is different. 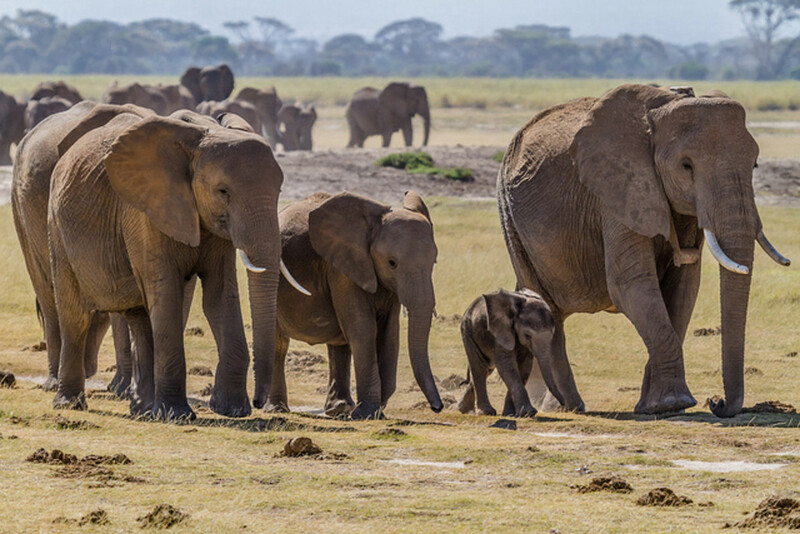 It does not have enough surplus cash to get seriously into conservation, education or research but it does what it does so well. It is a nice little zoo. It should be helped to survive. 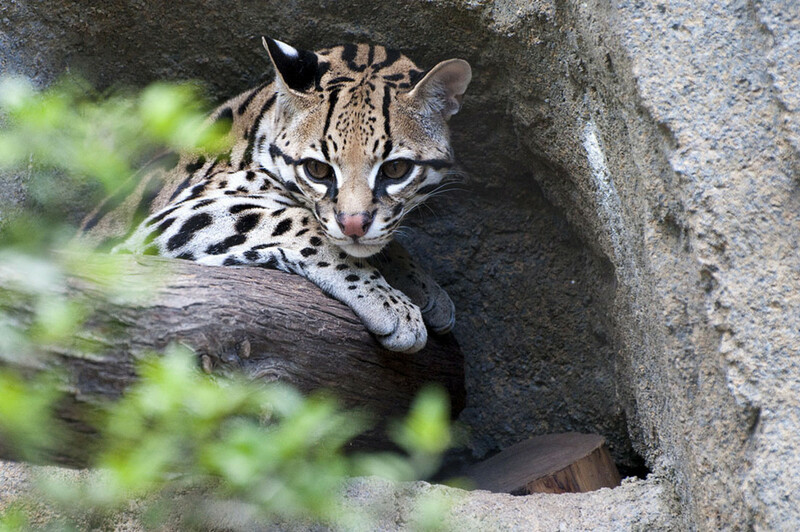 Donations of informative signage (bearing in mind that tourists are the main visitors), of educational materials, enrichment items and similar would help. 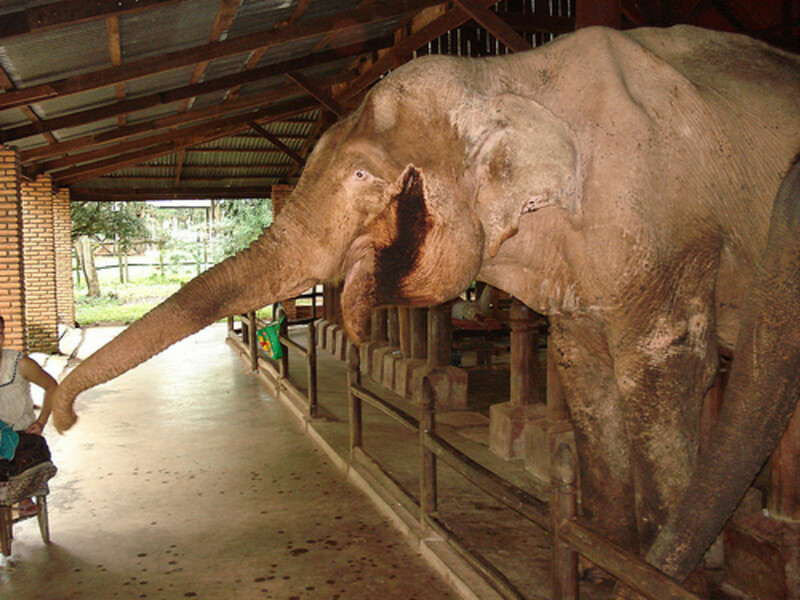 Any large zoo adopting all or part of Lao Zoo would be doing good. Thanks for sharing this Peter. 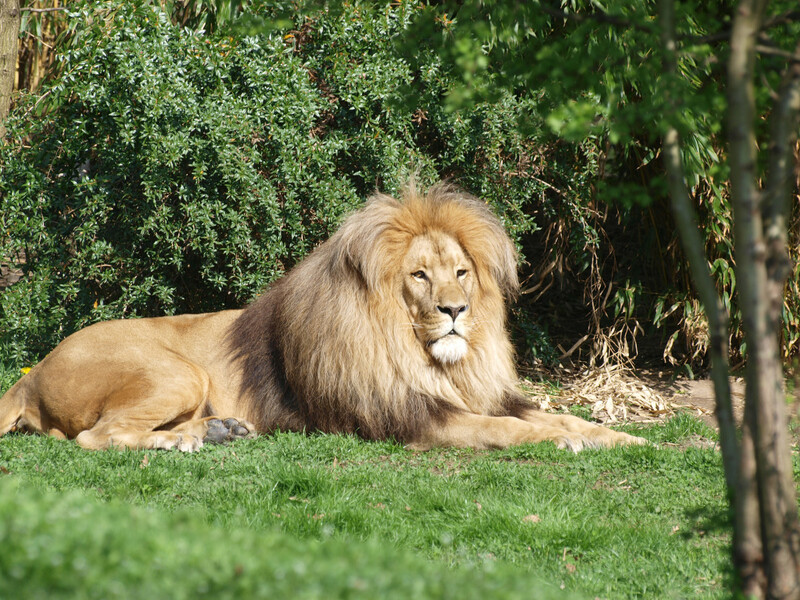 I visited the zoo in June 2014. It was a beautiful place, beautiful nature, and very big. 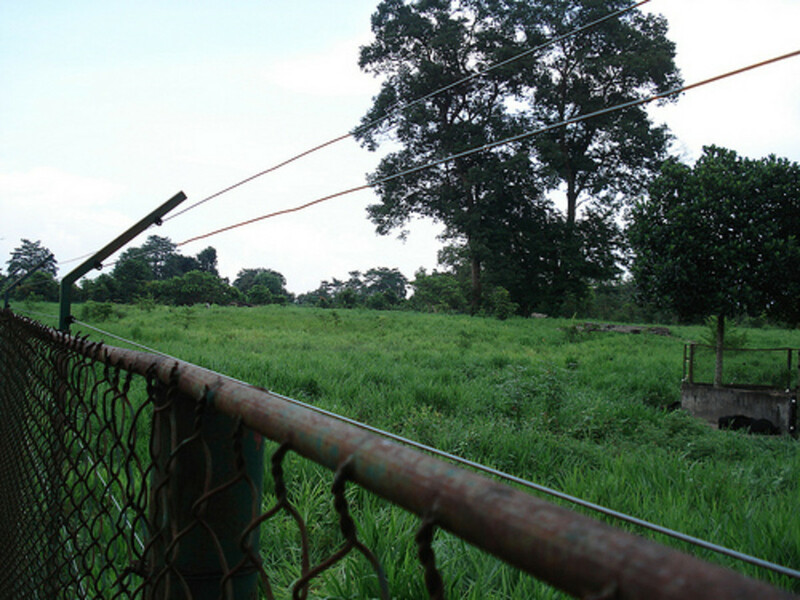 They have a lot of crocodiles, monkeys, and deer. Many things have changed since you wrote the article and I have to say it's not a good change. I heard ACRES has been co-managing the zoo since a few years ago but to be honest I'm skeptical. 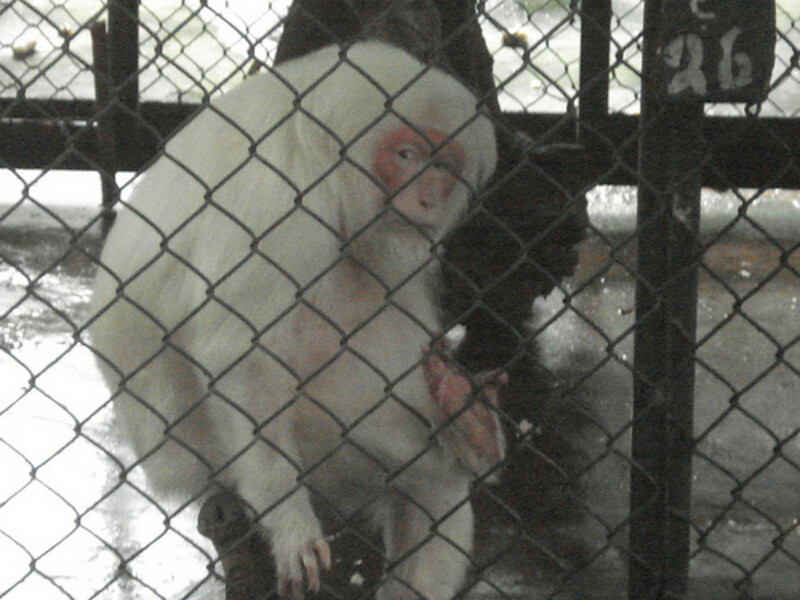 Compared to how ACRES criticize Singapore Zoo badly, they are doing a very poor job in Vientiane Zoo. 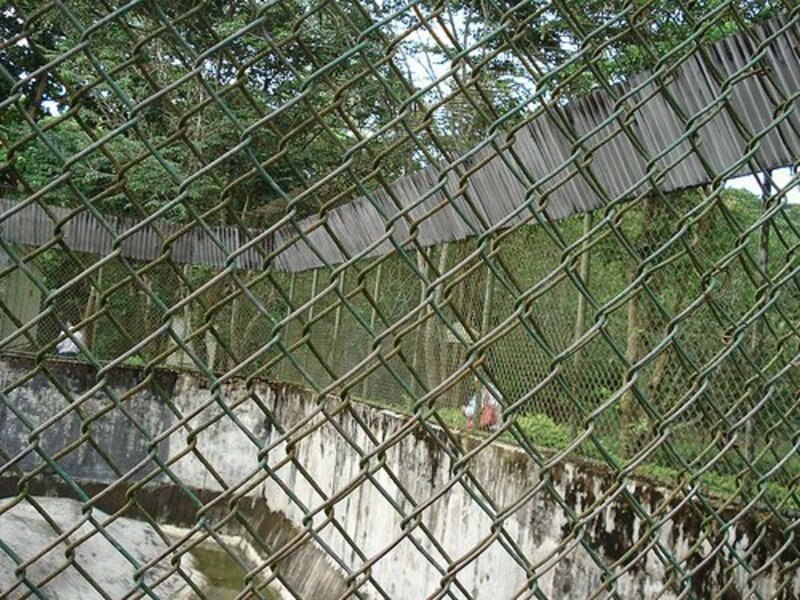 I expected so much more from an NGO that attacks a good zoo in Singapore. Thanks Singadick, I have half planned to visit again in 2014. Looking forward to it. Thanks for the good article, Peter. In August 2013 I spent a week doing volunteer work at the Laos Zoo, along with six other volunteers from the ACRES animal protection organization in Singapore -- now the co-managers of the Zoo. Groups of volunteers are coming from Singapore every month. They pay their own way, plus a little extra to add to the budget. Not only does their work benefit the animals, but they return to Singpore with a hightened consciousness of the importance of animal welfare. I, also, was very impressed by the Zoo. 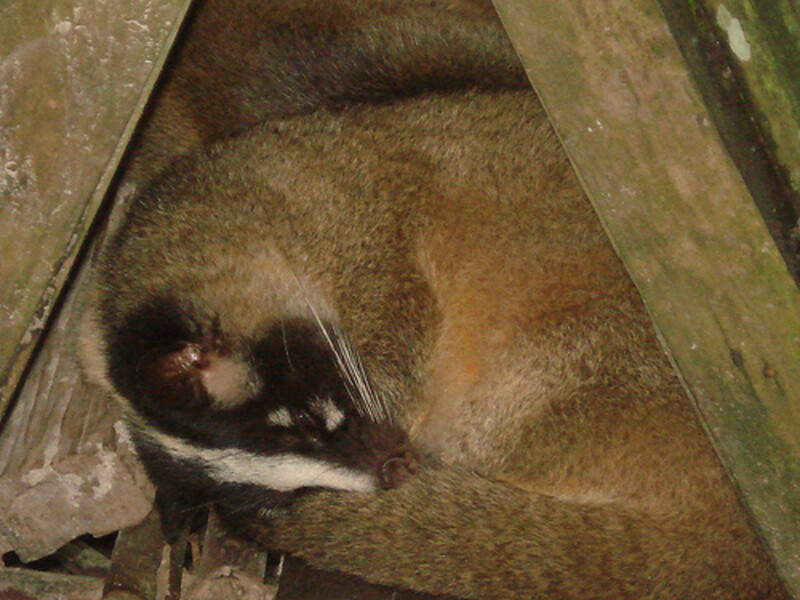 The area is quite large (several hectares), the enclosures are usually adequate and kept clean, and the animals are generally healthy. 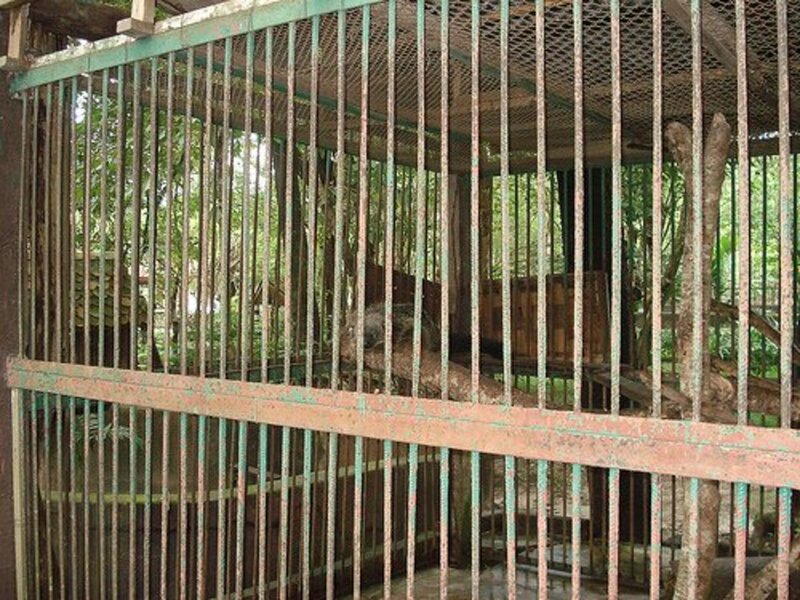 The involvement of ACRES is two-fold: improving the environment for the existing large collection, and the construction of new areas and facilities for the rescue and rehabilitation of wildlife -- primarily monkeys from the animal trade, and Sun Bears from the bear bile industry. Some of the (many) projects either in progress or planned, are the visitor and education center (completed, thanks to the USA Embassy in Laos), hiring of a qualified vet ( completed), construction of a new quarantine area and treatment hospital (near completion), construction of a "monkey island" surrounded by a moat to get them out of cages, construction of a new food preparation building, and implementation of species-specific diets. Much has been done, and much more remains -- it is a never-ending project. But ,as you say, funds are a definite limiting factor. 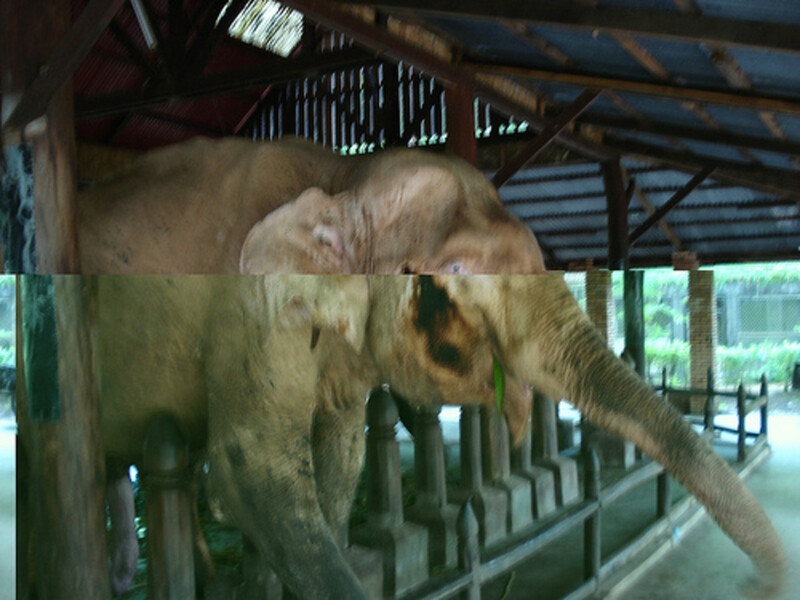 Anyone interested in donating can do so through ACRES (www.acres.org.sg), and designate the donation for the Lao Zoo. I've been involved with supprting ACRES for many years, and personally vouch that the funds will all be used for the intended purpose. 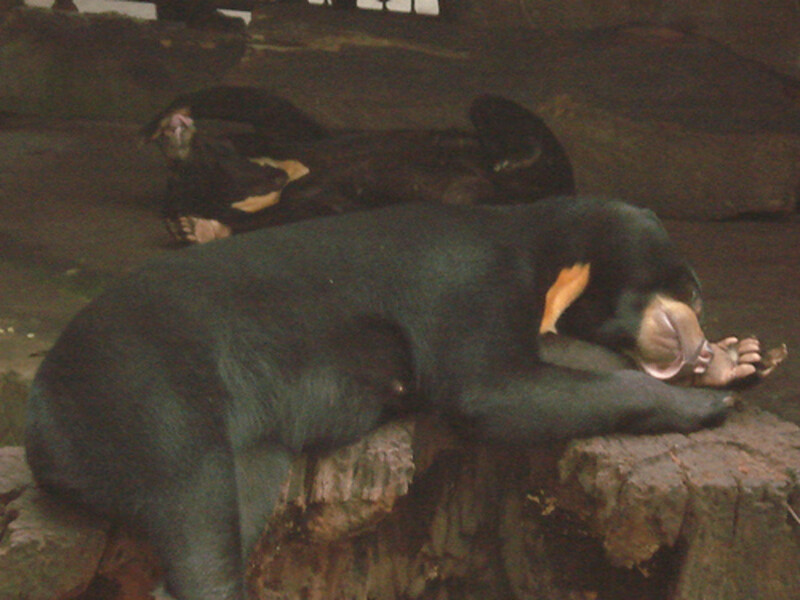 And... if you have plans to visit Laos, the Lao Zoo is a must-see, IMO. Very nice write-up. 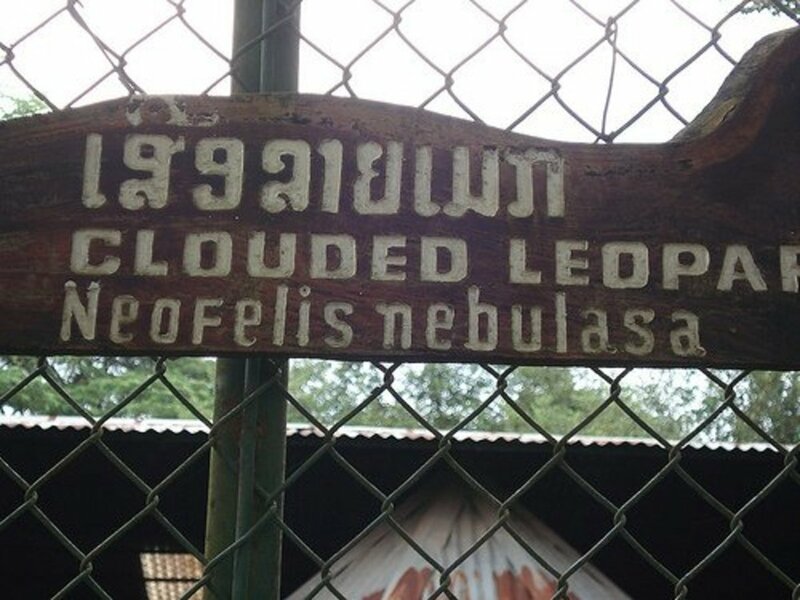 FYI...the Singaporean animal welfare group recently signed an MOU with the Lao Zoo to help them with upgrades to the zoo and build a bear sanctuary and education center. See article here: http://www.channelnewsasia.com/stories/singaporelo... 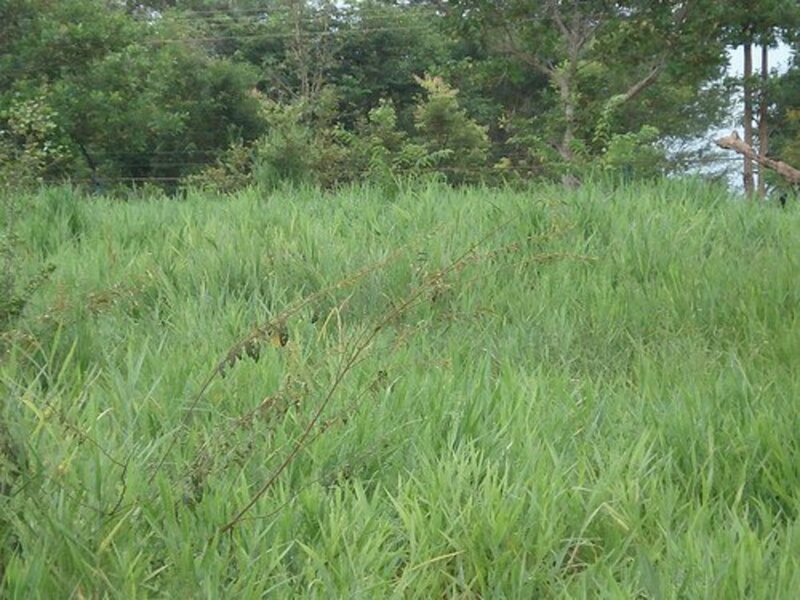 The US Embassy is looking to fund construction of the education center. A Lao Student in the US - I am glad you enjoyed it. I hope you don't long for home too much. You are a long way away. Thank you for sharing this. It made me want to go back there again. Last time I went there it was about 15 years ago. Thanks for commenting Kate. I liked the place. 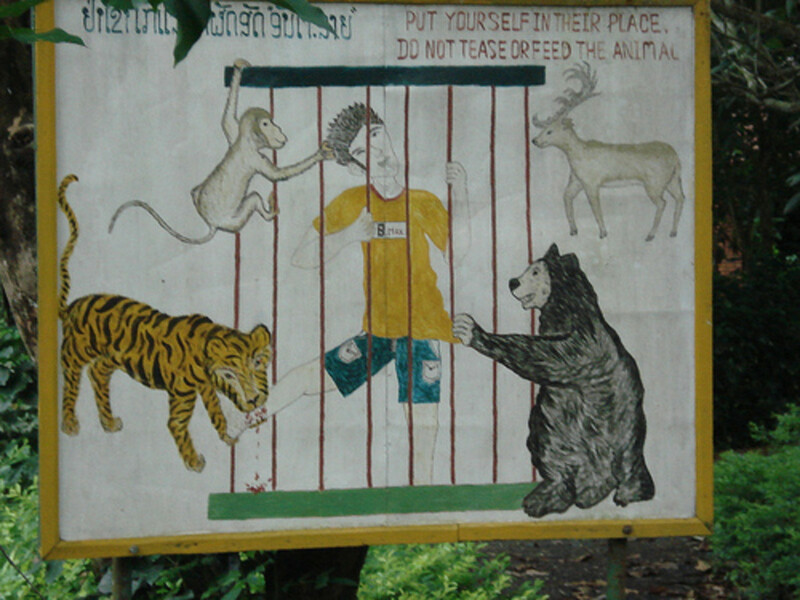 There is or was another very small 'zoo' with a Tiger and a Bear close to Luang Prabang. The animals had enough smace in semi natural woodland but it was dangerous as visitors could approach too close when unsupervised. Thanks for sharing this, Peter. 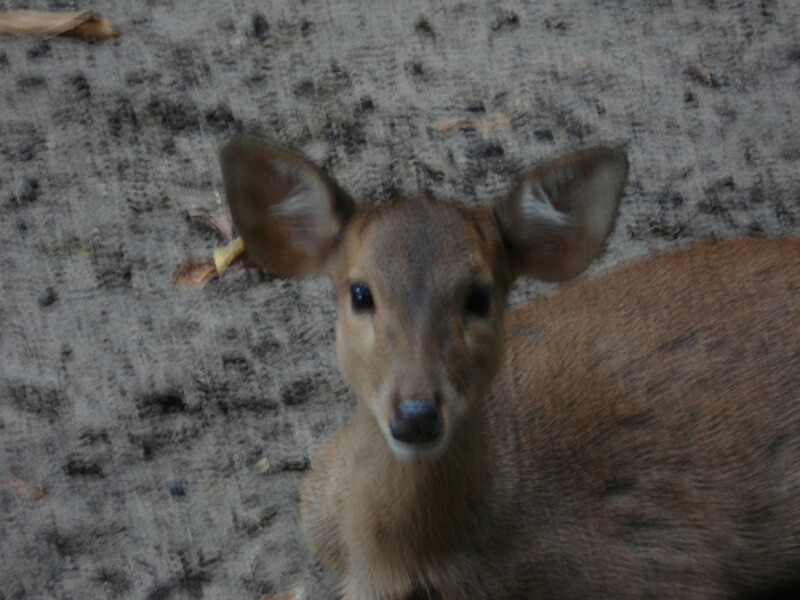 My mother is Lao, but I had no chance to visit Lao Zoo yet. When I have a chance to visit Lao, absolutely I would come to this place. As well, from some talks with my mom, she said the generous donor of Lao Zoo is New Chip Xeng Company, the distributor of brand "Honda" in Lao P.D.R. 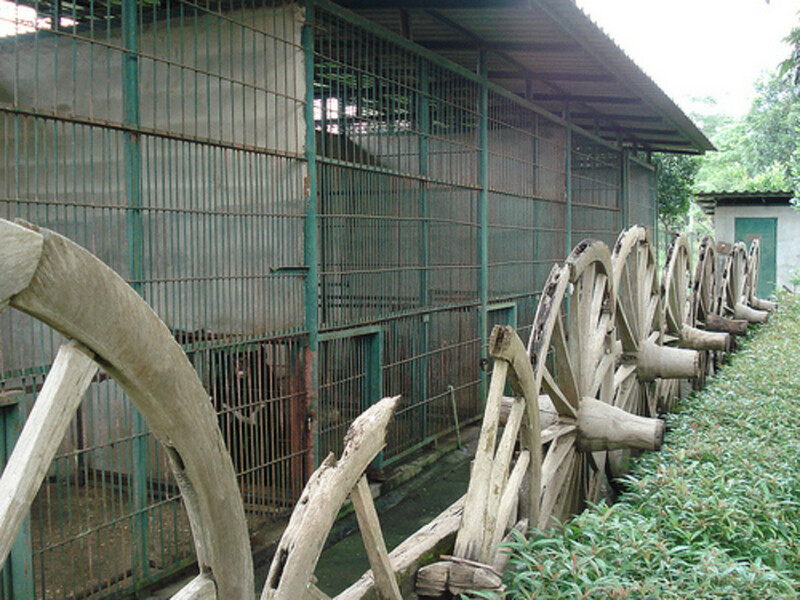 Since the owner of the company is Lao, she would like to conserve this only zoo in Lao for Lao people. I think like you that she does it best as one private sector can do. You have such a kindness in your words towards animals. 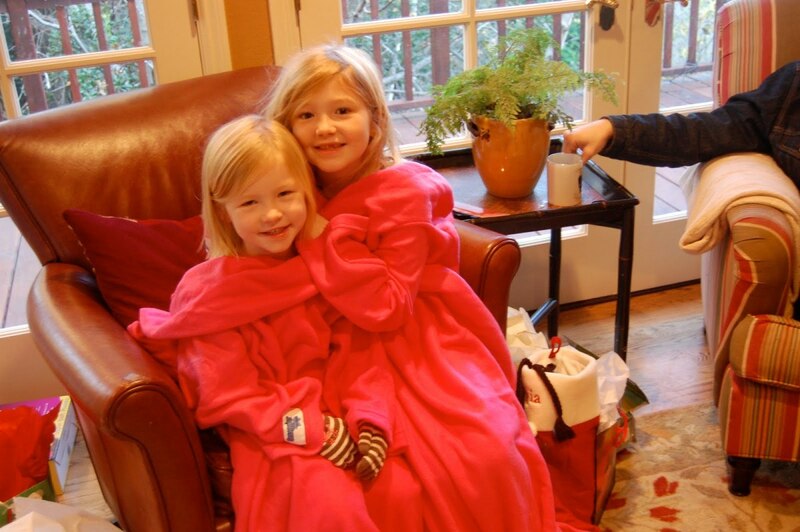 Beautiful pictures, thank you for sharing. dohn121 - I thought it would interest you. Definitely a good one. The other place I visited was not bad either...though badly supervised. I am surprised there has not been an accident. Lao Zoo though...an enjoyable couple of hours out. Thank you so much for sharing this Peter. I'm sure you knew that there was no chance that I was going to miss reading this hub! Had I the money, I certainly would donate it to the Lao Zoo. I can tell that it does lack funds and could certainly use a boost, but that the people that run it do the best they can with what they have. Thanks again.